As interest rates fluctuate, so does the price of financial assets. Low interest rates yield higher bond prices and stock prices. Most loan interest rates are floating and fluctuate or reset as rates change. The mezzanine loan is the exception. Interest rates on mezzanine loans are as stable as the night is long. This makes for an interesting question, why in the world are these rates fixed? Mezzanine loan rates for middle market deals have historically trended in the 11% to 13% range over the past 25 years. This time period spans several great periods of Federal Reserve interest rate easing. 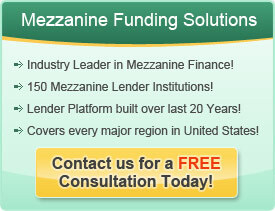 Fixed mezzanine rates provide important income support to mezzanine lenders. They allow them to cover their costs, take greater credit risk and charge lower warrant levels. For example, the origination underwriting cost for small private companies is expensive. The credit risk and potential loan loss is also higher. Fixed mezzanine loan rates allow these firms to cover their origination and underwriting costs and to provide a cushion for future loan losses. In fact, mezzanine lenders have two things to worry about in their investment decisions. They have to worry about the credit risk of their target borrower as well as the overall credit conditions in the market. When rates are low, banks are more aggressive and do riskier deals. Mezzanine lenders in order to compete with the banks have to take even greater risk in order to book loans. The risk level of the loan may be higher than usual, yet the interest rate is rarely north of the usual range. The fixed mezzanine loan rate does not increase to reflect the higher risk adjusted nature of the loan. The extra risk is offset by a higher equity warrant, but the warrant pay is anything but certain. So rates stay high when credit cycle risk is high but also stay high when credit cycle risk is low. Over the long term, it all evens out. This pricing dynamic allows these lenders to take greater risk and lend to smaller, unproven companies that would not be able to access credit otherwise.